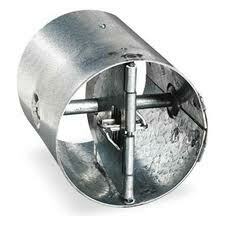 We stock Air Balance model R19 "True Round" fire dampers in our warehouse! Our regularly stocked sizes range from 4" dia to 14" dia. For further information, please give us a call!